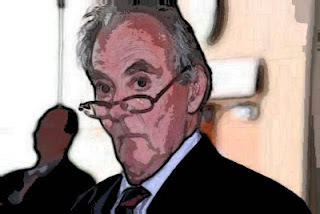 Lord Pearson was dishonest, corrupt and incompetent as UKIP's political chief. To be fair, he eventually admitted that he was hopeless at party politics and quickly resigned as UKIP's leader. See: LINK. But Pearson is to be congratulated for his work on this Bill. We will watch it's progress with interest. Lord Pearson of Rannoch: My Lords, I am truly grateful to all noble Lords who are to speak today. This is not the first time that your Lordships have debated this or a similar Bill at Second Reading. We did so last some four and a half years ago, on 8 June 2007, and we had similar debates on 11 February 2004, 27 June 2003 and 17 March 2000. The series would not be complete without mentioning 31 January 1997, when your Lordships’ House voted at Second Reading for a Bill that would have taken us out of the European Union altogether. For more than 30 years, our political class has done its best not to talk about our membership of the EU. But the wheel of history turns and the question as to whether we should leave the European Union is now firmly back on the national agenda. But this Bill does not deal with that question—it is an altogether milder and more innocent little creature. It merely requires the Chancellor of the Exchequer to set up an impartial inquiry into the economic costs and benefits arising from our membership of the EU. We were amused to note that Gerard was far from happy when he was told that our blogs had publicised this painful fact. Indeed, he has even attempted to silence us via the courts after he argued that the case was sub judice! We were also amused to note that Batten has been employing failed mayoral candidate, Mick 'Wolfman' McGough, as his driver and bag carrier! But we suppose that someone has to employ the idiot. It's just a pity that the British taxpayer is doing it via the EU! We hear that Gerard is now the subject of an OLAF investigation - OF/2011/10/17 - involving allegations of false accounting, fraud, nepotism and abuse. We understand that some of these concerns regard printing contracts given to Batten's brother. Please note that McGough has been signing off Batten's accounts. That would explain a lot! See an example below. An article (print headline: “MEP in fraud inquiry”; online headline: “UKIP MEP Michael Nattrass in expenses fraud inquiry”, November 15 2009) reported an investigation by a European Union watchdog into whether Mike Nattrass MEP had used public funds intended for the payment of parliamentary aides to pay a UK Independence party regional organiser. That investigation has been completed with no action taken against Mr Nattrass. The article also stated that payments were channelled through the firm Nattrass Giles Limited. We were not suggesting the company was part of, or merited, any investigation and are happy to clarify the position. Readers of this blog will be aware that both Borghezio and Speroni - EFD colleagues and friends of Nigel Farage - both openly praised Norwegian mass murderer, Anders Breivik. Borghezio went on record as stating that “One hundred per cent of Breivik’s ideas are good, in some cases extremely good. The positions of Breivik reflect the views of those movements across Europe which are winning elections.”. Call for Northern League’s expulsion from the European Group EFD. Inside or outside. The fate of the Northern League MEP from Piedmont, Mario Borghezio; by the end of October, the party must decide what to do. 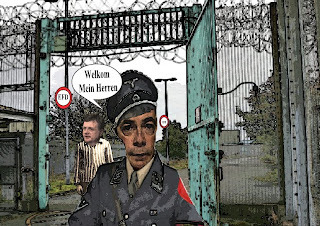 Keep him in or put him out of the EFD Group, Europe of Freedom and Democracy? 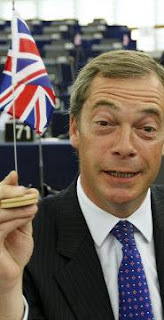 Clamouring for his head are the British eurosceptic UKIP, prime force of the group, tired of the 'performance' of Borghezio and, more particularly, much annoyed by his statements on the killer of Oslo, Breivik, which had also provoked his suspension from the Northern League. For those words Borghezio has been suspended by the League and also, on September 13 last, the EFD, but a yellow card is not enough, they want him to be expelled. "UKIP", reads a letter sent to their Italian colleagues, “calls on the Northern League to ask Borghezio to leave the EFD Group and go non-attached before the end of the legislature." The decision will be made during the plenary session of October 24 to 27. "The UKIP delegation UKIP," said its leader Nigel Farage, is "very, very unhappy about Borghezio." The letter cited the MEP’s interests in "UFOs and the Bilderberg Group" and his act of "burning the clothes of immigrant children." But the straw that broke UKIP was "his comments and his timing about the Norwegian murderer Breivik" that "exceeded all bounds." Borghezio is accused of damaging the "reputation of other members of the group" with words that "will be used" against them "in the European elections of 2014." Now the ball is in the Northern League’s court, because Borghezio has no intention of taking a step back. "Just think, if I resign," he says by phone from the U.S. "I had a vote of 50 000 Padanians to represent the people proudly in Europe." For him the case was closed with an apology to the Norwegian ambassador in Italy, but not for the British, while the Leaguist Francesco Speroni, EFD co-leader, tries to pour water on the fire. "It is not yet closed, but neither is it said that you get to the most extreme solution." That is, the expulsion of Borghezio. According to statute, this (expulsion of a member) is decided by the affirmative vote of two thirds of the members. Speroni’s impression is that “from rumours, I do not think that there are the numbers, but if they all agree, the League will not have enough to save it (8 out of 27, Borghezio not voting - ed)." Saving Borghezio means not to continue living with British colleagues. "If they insist," Speroni affirms constantly, “the group ends; it goes if just four jump from the EFD." In short, a delicate situation that, as UKIP asks, must be decided by the League. "But this would be a decision to be taken higher than me," admits Speroni, meaning the League’s party headquarters in Milan’s Via Bellerio. So, it appears quite clearly from this report that Farage was to have been presented with a straight choice on the week of 24-27 October - Borghezio's expulsion or the EFD's survival. Principles or presidential position. His co-president, Mad Frankie Speroni, was telling him bluntly that he couldn't have both. Three weeks later, a look at the European Parliament's website shows that the EFD still exists and that Lega Nord MEPs, including Borghezio, are still being listed as part of it. Farage and the rest of the UKIP MEPs appear to have kept very quiet about all of this, which is remarkable, because if the above report is accurate (and, as Speroni is quoted at length in it, there is plenty of evidence that it is), then the much-debated EFD faced nothing short of an existential crisis and, moreover, Farage was on the face of it making a great point of principle over Borghezio's future in the group. But since the whole furore over Borghezio and Speroni's comments first erupted, we have seen several examples of Farage huffing and puffing about it, only to do very little, if anything at all, when it comes to the crunch. Mad Frankie Speroni's own comments, for example, were initially condemned, alongside demands for apologies and retractions, and then quickly and entirely forgotten. Another pattern one can glean is that Farage has been quite sly about making threats that are either unrealistic or else are not what they initially seem. For example, his initial threat was that UKIP MEPs would suspend their membership of the EFD if no apologies and retractions were forthcoming from Speroni and Borghezio. But that was never going to happen, a) because examination of the EFD Group's statutes show that there is no mechanism for voluntary suspension of membership and b) because, of course, if UKIP MEPs had nonetheless left the group, however temporarily, the EFD's membership would have dropped way below the required minimum and it would have collapsed immediately. Now one might possibly detect another "all is not what it seems moment". The clue is in Farage's most peculiar demand that the Lega Nord asks Borghezio "to leave the EFD Group and go non-attached before the end of the legislature." That gives the League until June 2014! If that is correct, they are Farage's most weasel words yet on the shabby affair. Perhaps Speroni has quietly promised that Borghezio will leave the EFD quietly near the end of parliament, when it will not greatly matter, and Farage has in return promised to drop the whole issue, content in the knowledge that he can whip out the above mentioned letter at any moment, should any more inconvenient publicity arise. In any event, one thing is clear - Borghezio is still in the EFD Group. So just what did happen on 24-27 October, or at any other time subsequent to the above media report? We should be told. Well, we now have the answer to the question. Sadly, the answer is YES - Farage DID put the survival of the EFD ahead of principle. BRUSSELS – A three-month ban discounted, Mario Borghezio is officially reinstated in the EFD Group, Europe of Freedom and Democracy. The penalty was taken in the summer for the statements of the Piedmont MEP about the instigator of the Oslo massacre, Anders Breivik. Borghezio said he considered his ideas “good” and “shared” them, but then, also considering the controversy, apologised to the Norwegian Ambassador to Italy. For those expressions, Borghezio was suspended by the league and then, in parallel, from the Northern League team in Europe. On 13 September the British eurosceptic UKIP, the largest party of the EFD, had also sent an ultimatum to League colleagues asking openly for Borghezio’s resignation from the group. 'His presence was considered “too high a price to pay'' and a weapon that the British press could use against UKIP “in the 2014 European elections''. But the threats were revoked this week, because the resignation or expulsion of Borghezio would put at risk the survival of the group, just two deputies over the minimum threshold of 25 members. As I said in opening this thread, Farage had a straight choice - "Borghezio's expulsion or the EFD's survival. Principles or presidential position". He has taken the selfish and cowardly options. His various outpourings of fake disgust and feigned outrage at Borghezio's statements have proved to be not worth the paper they were written on. He has managed to be spectacularly stupid, too, because, having long brushed off or denied allegations that he was sitting with extremists in the EFD Group, he has committed to paper an admission of previous acts by Borghezio, such as setting fire to the clothes of immigrant children, and yet he has signalled that despite such criminal and extremist acts he is still prepared to sit in the same group as Borghezio, indeed to be president of that group. The other damning point to emerge from Farage's weasel-worded letter to Speroni is this - Farage has admitted in writing that he recognises that Borghezio's continued presence in the EFD could be used by the press against UKIP in 2014, and yet ultimately he is not prepared to do anything about it. Ultimately, he is even prepared to knowingly imperil the party's election prospects if they come between him and his precious group of extremists and pro-Europeans. The message is that Farage values his position as EFD President above his responsibilities as UKIP leader. In cowardly fashion, Farage threw the ball into the Lega Nord's court, surely knowing that two Padanian fingers would be the only response. But the power to do something remains in Farage's own hands. In the immediate aftermath of Borghezio and Speroni's foul remarks about the Norwegian atrocities, he was quite unequivocal about both Lega Nord MEPs. "I have written to the leadership of the Northern League party to demand an immediate full retraction and apology", said Farage on the UKIP website. "If my request is not met, then we will suspend our membership of the EFD group." Four months later, there has been no full retraction from either Borghezio or Speroni, but both of them remain in the EFD Group, UKIP MEPs remain in the EFD Group, and Mad Frankie Speroni even continues to be EFD Co-President alongside Farage. Indeed, Speroni's part in this scandal was forgotten by Farage within days and all attention, such as it was, was focussed on Borghezio. As soon as it became clear that Farage's call for "immediate" retractions was just bluster, Speroni was able to laugh in the face of any further idle threats that followed from his co-president over the ensuing months. As the EU descends into chaos and imposes its unelected "prime ministers" on previously democratic member states in ever more desperate attempts to avert the crisis, and while Cameron, Clegg and Miliband gaze on cluelessly, the people of Britain are crying out for real leaders. Real tests of leadership are not about who can fire easy shots on YouTube. The Borghezio-Speroni Scandal was a true test of moral and political leadership and Farage comprehensively bottled it. It called for a man, and Farage has shown he is a mouse. Speroni was directly quoted by the Guardian, saying: "Breivik's ideas are in defence of western civilisation", and "I'm with Borghezio. I don't think he should resign. If [Breivik's] ideas are that we are going towards Eurabia and those sorts of things, that western Christian civilisation needs to be defended, yes, I'm in agreement". In a statement on 28 July, UKIP said Nigel Farage had contacted Speroni, his EFD co-president, "to demand an immediate retraction and apology following his remarks and those of his fellow Northern League MEP Mario Borghezio . . . . If no retraction is forthcoming then UKIP will suspend its membership of the EFD group in which it sits alongside the Italian political party". On 29 July, UKIP's follow up statement said Speroni had written to Farage saying that he condemns the massacre and the extreme fundamentalism in question - an addition to his earlier remarks. Has Speroni withdrawn the statements he made in support of Borghezio? Has Speroni retracted his agreement with Breivik's ideas? Has Nigel Farage suspended UKIP MEPs' membership of the EFD as he said he would? Apparently not. It seems Borghezio has been suspended by his party and UKIP says it is satisfied that this "will send a clear message that they, and we will not have any truck with such disgraceful sentiments now or in the future". Farage is convening the EFD next week to suspend Borghezio from the group. So that's it. The book thrown at Borghezio; Speroni quietly forgotten. UKIP can trumpet that Farage has taken "prompt action", and the EFD can survive with the temporary loss of one Italian. Note that Farage's demands for "an immediate retraction and apology" from Speroni are for home consumption only. The EFD's website doesn't mention them, or the threat to suspend UKIP MEPs' membership of the group. An interesting aspect of this is that one of those who has condemned Borghezio's comments, calling them "terrible, unspeakable remarks", is the Lega Nord MP and cabinet minister Roberto Calderoli, the man indirectly responsible for UKIP MEPs and their allies expelling the Lega Nord from their previous Independence & Democracy group. Calderoli was not even an MEP, yet in 2006 his party was expelled from the Ind/Dem following his provocative comments and TV appearance wearing a T-shirt bearing a copy of one of the Danish Muslim cartoons. There has been no talk of expelling Speroni and Borghezio, whose comments have caused the current outrage; only of UKIP MEPs 'suspending' their EFD membership. And it looks like Farage is welching on even that! He gave Speroni an ultimatum - make an immediate full retraction and apologise, or we suspend our membership of the group. Speroni has done neither. He's stuck two metaphorical fingers up at UKIP's leader and Farage has backed down, talking now of convening the EFD Bureau to suspend Borghezio instead. He wouldn't need to run to the Bureau for consent if he'd kept his word and suspended UKIP's membership. He could have done that all by himself! At the end of July, following the mass murder of young Norwegians by Anders Behring Breivik, UKIP issued two statements regarding comments made by their MEPs' EFD colleagues Mario Borghezio and Francesco Speroni. On 28 July, UKIP wrote: "Nigel Farage said: "I have written to the leadership of the Northern League party to demand an immediate full retraction and apology. If my request is not met, then we will suspend our membership of the EFD group". A clear and unequivocal undertaking. On 29 July, following Speroni's reply, UKIP wrote: "Mr Farage is convening the governing Bureau of the EFD Group in the European Parliament next week in order to suspend Mr Borghezio from his membership of the group". Another clear and unequivocal undertaking, yet if Borghezio had retracted and apologised as Farage demanded, why was he to be suspended? And if he had not retracted and apologised, Farage (having suspended UKIP MEPs from the group as stated on July 28), would not then be in a position to convene the Bureau and suspend Borghezio. So where is the retraction and apology, and on what date and with what outcome was the Bureau convened? Huffing and puffing empty promises to shut critics up at home; treated with contempt by MEPs he 'presides' over in Brussels; and all the time, out of sight of UKIP members, European parliament business as usual. UKIP surge in the Polls? A lot of nonsense has been written about Nigel Farage recently. We had Alex Singleton comparing him to Gandhi (LINK). And we had the Telegraph's Peter Oborne claiming that Farage is a "jolly chap" who "occasionally gets into minor trouble". So financial irregularities, public drunkenness, consorting with prostitutes, refusing to provide audits of your accounts, conducting smear campaigns against Nikki Sinclaire and being accused by Mike Nattrass, one of his own MEPs, as having the morals of "Alley Cat" are clearly of no concern to Mr Oborne! "I believe that Ukip is about to take over from the Lib Dems as Britain’s third largest political party". We suggest that Mr Oborne takes a look at recent by-elections before making such rash statements. It may prevent him from looking more foolish than he already is! Glasgow City - Hillhead: First count SNP 1026, Lab 945, Green 435, C 372, Lib Dem 307, Ukip 36, Britannica 11. (May 2007 - Four seats first count SNP 1899, Green 1675, Lab 1192, Lib Dem 1184, Lab 1080, C 912, Lib Dem 463, Solidarity 344, Scottish Socialist Party 184, Nine per cent growth party 51. Elected SNP 1, Green 1, Lab 1, Lib Dem 1). SNP hold. Swing 3.4% Lab to SNP. Ribble Valley Borough - Salthill: C 208, Lib Dem 204, Ukip 158, Lab 40. (May 2011 - Two seats C 323, Lib Dem 266, Ukip 223, C 211, Lib Dem 157, Ind 178, Lab 109, 100). C gain from Lib Dem. Swing 2.4% C to Lib Dem. UKIP vote down by 65 since May 2011. Warrington Borough - Poulton North: Lib Dem 776, Lab 733, C 147, Ukip 79. (May 2011 - Lab 1442, Lib Dem 1204, C 426; July 28 2011 by-election: Lib Dem 1106, Lab 895, C 190, Ukip 97). Lib Dem hold. Swing 5.1% Lab to Lib Dem. UKIP vote down by 18 since May 2011. "The main parties’ cosy alliance is about to be blown apart by Nigel Farage’s Eurosceptics". Nigel Farage: The new Gandhi? Nigel Farage: A drunkard and a fool. And it certainly shows! Much nonsense has been written recently about the so-called surge in popularity of UKIP in the polls (more on this tomorrow). One writer - Alex Singleton - even made the ludicrous claim that Nigel Farage was the new Gandhi! We suggest that Mr Singleton does a little bit more research into Farage's background and real motivations before insulting the dead by comparing them to a degenerate. It may even prevent Mr Singleton from looking foolish in the future. What has poor Gandhi ever done to deserve such an insult? Gandhi was motivated by a desire to see his people freed from British rule. He was a humble man, a person who did not seek riches or glory for himself. He also hated sycophancy and deplored racism. To compare this man with Farage is frankly insulting to both the Indian leader and the Indian people. Farage is motivated solely by ego and wealth. He has claimed millions in expenses since becoming an MEP and has amassed a fortune, most of which is safely placed in his Isle of Man back account. He STILL refuses to publish a full audit of his accounts. This is despite numerous promises to do so. And why does he still refuse to explain what happened to the £211,000 that 'vanished' from UKIP's South East accounts? A similar amount was later paid into his Isle of Man account. Coincidence? Farage surrounds himself with sycophants, drunkards and liars. Any criticism of his 'leadership' is met with smears against the critic. And exactly the same thing happens when new talent emerges in the party. Farage's deep-seated insecurity just won't allow it. They are either forced out of the party or kicked out on trumped up charges of 'disloyalty'. Look what happened to Nikki Sinclaire! However, Farage always gets others to do his dirty work as he lacks the courage to face his party critics in open debate. Farage openly sits with racist MEPs in the EFD group, including those who have praised the Norwegian mass murderer, Anders Behring Breivik. See: LINK. 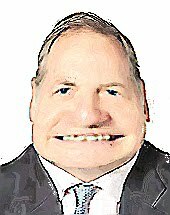 He has the morals of a Alley Cat - the words of Mike Nattrass, UKIP MEP - and thinks nothing of cheating on his wife with Annabelle Fuller and various other assorted 'alley cats'. See: LINK. "I am not and was not prepared to be a bag-carrier. Nor would I fetch and carry for Farage, or write his letters, or be available to pour him into a taxi when he was so blind drunk that he could no longer stand, or cover for him when he failed to turn up for morning appointments because he had been out on the tiles all night long. I am almost old enough to be his father, but I am not in the business of being his nanny. I am a professional researcher and that, in my mind, was what I was employed to do." We could go on but to compile a complete list fully illustrating Farage's dishonesty, lack of ethics and greed would be endless! Farage is just another example of the worst in British politics - a man without integrity or honour. His 'euro-scepticism 'is nothing more than a cynical ploy in order to stay on the EU Gravy Train at the British taxpayer's expense. Farage is now an extremely wealthy man thanks to his career as a UKIP MEP. And yet in all his years as an MEP he has given virtually nothing to UKIP in the way of donations. Hardly the actions of a man committed to leaving the EU! Farage went 'native' years ago. Britain's new Gandhi? Don't make us laugh! We are pleased to see that Richard North is back blogging after his recent heart operation. Here's to a speedy recovery! Maybe it is just post-operative blues, but I'm struggling to get back into the frame, with the news agenda lacking any apparent coherence. We are seeing much the same EU stories as before, nothing has been resolved and the UK political position is no further forward. I am grateful, therefore, to Witterings from Witney, for picking up a comment of mine on the Norwegian situation, brought up by Cameron in his Lord Mayor's Banquet speech, and supposedly rebutted by Farage. This affords me an opportunity to display some irritation (hey! I'm entitled occasionally) at the limitations of our "own" side. For, while one expects nothing of Cameron – or any of the other Tories who seem impervious to knowledge on the EU – one would hope that our own would take the time to find out something of the organisation of which they speak. In the case of Norway, this is quite important, as the situation is deemed to be a weak point in the eurosceptic armoury. Even outside the EU, it is held, Britain would have to adopt common trading law, as does Norway but, unlike currently, we would lose any influence in its framing, having thus to adopt in the manner of Norway, laws sent to us by fax from Brussels - the so-called "fax law" option. Bizarrely, Farage concedes this point, although it is not true and can easily be demolished. We have rehearsed it many times and wrote a definitive piece in May 2008, pointing out the actual situation. Most of these laws are not agreed by the EU at all, but by intergovernmental bodies such as UNECE, of which Norway (and the UK) is a member. The legislation is then processed by the EU commission acting in more of a bureaucratic than legislative role. In other pieces, such as this, I have pointed out that there are dozens of UNECE-type bodies, which would also continue in place even if we left the EU, and through which we would continue to agree international standards, to which EU members would also be bound. Outside the EU, therefore, we would have just as much influence over single market-type law, adopted by EU members. The down-side, of course, is that leaving the EU would actually provide less relief from petty regulation than we might imagine, although we could disapply much of it from the domestic market. This though, is core knowledge which should be shaping the debate. But, tediously, one of the leading players continues to do nothing other than display his ignorance, having never troubled to expand his knowledge-set beyond the basic minimum. And this is why UKIP risks being left at the starting gate, should we come to a real debate about the mechanics of leaving the EU. The Party has no more to offer than the Tories, and that is perilously little. One sees, for instance, the halt and the lame in that direction, talking blithely about which powers to repatriate and how they would go about reclaiming them, demonstrating absolutely no practical understanding of the complexities involved. Strangely, of all the policies at present managed by the EU, the first we should claw back is the research programme. This is quite simply because, to repatriate powers, we must replace policies – otherwise there is no point in so doing. And those that are aware of the processes will be aware that a huge amount of policy development (a complex, expensive and time-consuming process) is funded under the research programme. Thus, is order to reclaim powers, we must develop new policies and, to do that, we must reclaim the policy-making tools. And so do we need coherence in the debate. Leaving the EU is eminently practicable, possible and necessary, but only if we are able to offer a credible and realistic pathway. To its shame, the eurosceptic community has yet to deliver on this and, when we hear the likes of Farage parade his ignorance, we wonder how longer we are going to have to wait. 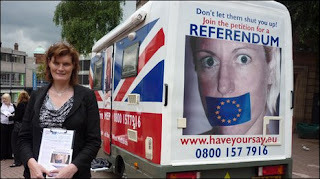 Nikki Sinclaire: Sign the New EU referendum petition! Click HERE to sign the new petition! As you can imagine, his outspoken views on the NEC and Lisa Duffy hardly endeared him to Farage and his nodding donkeys. Criticism of the Fuhrer can only result in the critic being sidelined, smeared and ultimately forced out. Indeed, certain members of the Farage Sycophants Club have been conducting a whispering campaign against Allison for months. So much for democracy and freedom of speech - something that Farage is more than happy to pay lip service to when it suits him. But woe betide anyone who dares suggest that the sun doesn't shine out of Nigel's backside! Allison's membership of another party - Putting Hartlepool First - was used against him. 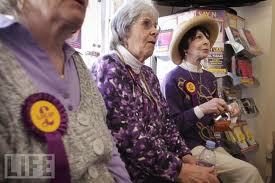 It was claimed that membership of that party was 'incompatible' with membership of UKIP. So why are other members allowed to retain membership of other parties, including senior officials! Mr Allison decided that enough was enough and resigned from the NEC. He also resigned as Vice-Chairman. He now intends to concentrate on campaigning for Putting Hartlepool First. See: LINK . Mr Allison is the Party Secretary. 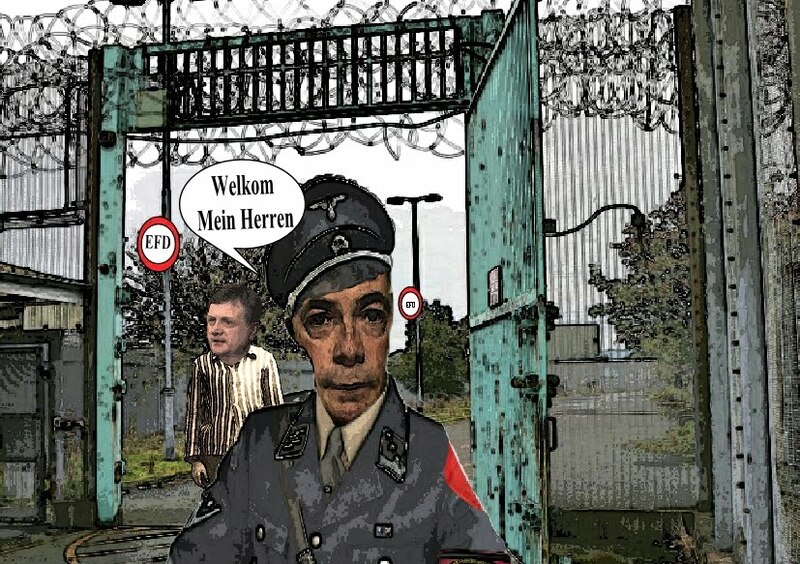 Frank Vanhecke, former Chairman of the Vlaams Blok, and banned racist party, and subsequently Chair of its successor, Vlaams Belang, has joined Nigel Farage's EFD group in the European Parliament. Vanhecke is notorious for wrongly naming a number of ethnic minority youths in connection with the vandalism graves in Tereken. In fact the perpetrators were indigenous Flemings like himself. As a result, he was stripped of his parliamentary immunity. In 2007, he was arrested in Belgium for assaulting a bus driver. The Stephen Roth Institute had this to say about Vlaams Blok: "The Vlaams Blok of Flanders has become one of the strongest extreme right parties in Europe. The most serious anti-Semitic incident in 1997 was the attempt to set fire to the Anderlecht synagogue in Brussels." Our photo shows Vanhecke alongside Bruno Grolnisch and Jean Marie LePen, both of the French National Front. Nice company you keep, Nigel! With thanks to GLW for passing this draft document to the Junius Team. Multiculturalism depends on the proposition that all cultures, cultural beliefs, customs and practices are equally valid. Mass immigration into many western countries for the last forty years or more has brought with it some cultures and cultural practices that are alien to western cultures and liberal, democratic political systems. Instead of taking a robust attitude against these alien practices western countries have mostly adopted an attitude of appeasement and cultural relativism. Western Governments have been terrified of criticising or standing up against these practices for fear of being branded ‘racist’ or ‘Islamaphobic’. Most European and Western countries are multi-ethnic societies and is no reason why people of difference racial and ethnic origins cannot live together peacefully; but to do so requires emphasising those things we have in common rather than those things that separate us. It requires that all citizens living in a given state have broadly the same allegiance, loyalty and belief in a common set of public and political institutions and the acceptance of one legal system. Multiculturalism does precisely the opposite: it creates different and competing groups within one public and political space and is a recipe for division and conflict. Many European and Western countries have adopted a policy of state-sponsored multiculturalism, designed to preserve and enshrine the beliefs and cultural practices of migrants and to protect and advance them by law and public subsidy. The objective was that the policy of multiculturalism would help absorb and integrate vast waves of migrants from foreign lands. In that it has conspicuously failed – as now has been publicly attested by figures such as Trevor Philips Head of the Race Relations Commission, President Angela Merkel of Germany, President Sarkosy of France, and latterly Prime Minister David Cameron of the UK, to name just four. However from the point of view of those groups that use multiculturalism to promote their own separate interests it has and is succeeding and they have a vested interest in seeing it continue. Private Multiculturalism Good: Public Multiculturalism Bad. A clear distinction must be drawn between private and public multiculturalism. The private practice of religious and cultural beliefs, customs and traditions should be precisely that – private. We can all enjoy the private practice of different cultures and beliefs and share them with our friends and neighbours. That is a good and positive thing that can help bring people together. The public policy of state-sponsored multiculturalism is quite another thing and it has created an increasingly more fractured, divided, contentious and uneasy societies. It cannot go unsaid that the biggest beneficiaries of this public policy of multiculturalism are Islamic fundamentalist and extremists who use it to extend their own power and influence in order to bring about their long term goal of an Islamic or Islamic dominated state in each one of those countries where they settle. Multiculturalism also undermines those moderate Muslims who wish to embrace Western values but see power and influence being extended to their extremist co-religionists. Islamic fundamentalism is the cuckoo in the Western multicultural nest. We can either address it now or be destroyed by it in the course of time. This short paper is not a detailed history, analysis and critique of multiculturalism and its failure. It is taken as a given that it has failed and has to be dismantled. The points below are suggested policies that could be adopted by political parties and governments of any political colour and in any country in the world that wishes to preserve and promote common western liberal democratic values. The points below are specifically aimed at Britain but can adapted as required. 1. Recognise that Christianity is the cultural heritage of Britain and affirm the secular nature of government and public institutions. This should be recognised by an exception for the Church of England as the historically established church but bishops should be removed from their positions in the House of Lords and the Monarch should lose the power (exercised through the Prime Minister) to appoint the Archbishop of Canterbury. 2. A commitment to end the policy of state-sponsored and funded multiculturalism by local and national government. 3. A commitment to promote a common public culture, expressed in a common language (excluding existing historic regional differences), one legal system and one set of political institutions – none other should be formally recognised by the state. 4. There must be equal application of the law. There can be no separation of people based on religious practices in public places, e.g. in swimming pools and hospital chapels. 5. There must be one language used in national and political institutions and publicly funded places (excluding historical differences such a Welsh in Wales or Gaelic in Scotland). In England only English must be displayed in public buildings such as local and national government offices, universities, colleges, schools, hospitals, clinics etc. 6. Repeal the Act of Parliament that recognises Sharia law in some tribunals, (e.g. for family law, child custody, inheritance etc). Sharia law must be given no official recognition or legal status whatsoever. 7. Repeal the Act (???) that gives official recognition to Islamic Banking. There must be no financial or banking regulations based on religious law. 8. Repeal those Acts (???) which give recognition to polygamous marriage for tax or social security and benefits purposes. There must be no official or legal recognition of polygamous marriages. 9. Stop all government funding to organisations that promote religious fundamentalist or extremist views, e.g. the Muslim Council of Britain, the Quilliam Foundation, the Union of Imams & Mosques in the UK and Ireland etc. Any organisation that requests public funding must be required to sign and actively abide by a Code of Conduct (see Appendix I). 10. Social Security and benefits payments can only be claimed in English where the recipient has been living in the UK for 12 months or more. For those who have entered the UK and do not speak English subsidised English classes must be made available. 11. No granting of planning permission to religious organisations that: do not abide by and actively practice a Code of Conduct (see Appendix I); are funded from outside the UK unless they have a special dispensation from the Home Secretary, such dispensations should discretionary and will only granted where it can clearly be shown where the money originates from, and where it can be demonstrated that it is not from extremist sources, or is intended to promote religious fundamentalist or extremist views. 12. Repeal the Religious Hatred Act (???). The promotion of hatred or violence against individuals or groups is catered for under the normal criminal law. No religious belief system or ideology may be protected from criticism by law. 13. Ensure that the law on forced marriages and female genital mutilation is rigorously enforced. 14. Religious schools should only be allowed where they can sign and show actively to abide by a Code of Conduct (see Appendix I). 15. Repeal the Act of Parliament that gives exception for ritual slaughter for religious reasons. These are outmoded and barbaric practices that have no place in the 21st century or n the light of humane animal welfare policies. 16. Something on the funding of universities??? To be added later a per existing ‘burka and face coverings policy’. Sadly, Mr Wheeler is being less than truthful when it comes to younger UKIPPERS. The small number of new more youthful members is not exactly going to do much to boost the declining membership of UKIP. You could fit the entire membership of Young Independence into a very small village hall ...... with plenty of room to spare. We were amused to note that William Dartmouth, UKIP MEP, decided not to attend last night's BNP front group (Swinton Circle) meeting after GLW and Junius published the embarrassing details on our respective blogs. He had been scheduled to speak at the group's meeting in the Star Tavern, Belgrave Mews, London. 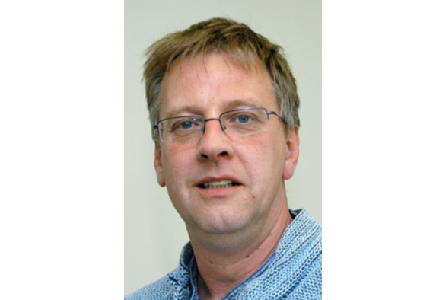 The Eastern Region is currently the scene of a major bust-up after it emerged that Peter Reeve - Eastern Region Organiser - had continued working for David Bannerman as a researcher following the MEP's defection to the Tories. Stuart Gulleford - wannabe MEP and manager of Agnew's Chelmsford office - is just one of those UKIPPERS in the East who are not best pleased with the former tractor part salesman. Indeed, there was quite a heated exchange between the two after it emerged that Reeve was listed as a researcher in Bannerman's new Tory publication on the EU. This was something that Reeve had conveniently forgotten to disclose to his UKIP colleagues in Chelmsford. We can confirm that there are now growing calls for the UKIP RO to resign as many feel that his position is now untenable. There are growing concerns in Ramsey that Councillor Reeve has been abusing his position on the council in order to secure a chunk of lottery funds (£1.5 million) for groups, including the Neighbourhood Forum - groups that just happen to be controlled by his supporters. Peter Reeve and Lisa Duffy, his girlfriend, are planning to seek selection as UKIP Eastern Region MEP candidates in 2014. 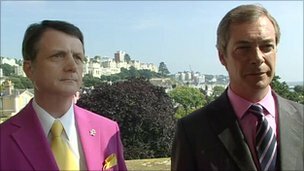 There has never been any love lost between Gerard Batten and Nigel Farage. To say that Farage loathes Batten with a passion would be an understatement. He's never forgiven him for backing Tim Congdon as UKIP leader. Indeed, he would dearly love to see Batten replaced as UKIP London's lead MEP candidate in 2014. Gerard Batten regards Farage as an egotist and a man who "I don't trust". We can't disagree with that! But just how secure is Batten's position in London? Recent events could prove rather damaging both to him and UKIP. Batten has been accused of racism by a former member of staff and faces an industrial tribunal as a result of his alleged office outbursts. It is interesting to note that UKIP is funding his defence. It comes as no surprise to learn that the leadership were VERY keen to keep this fact from the membership. The final legal bill could could run into many thousands. We note that there are also serious concerns that Gerard uses his brother's printing company. 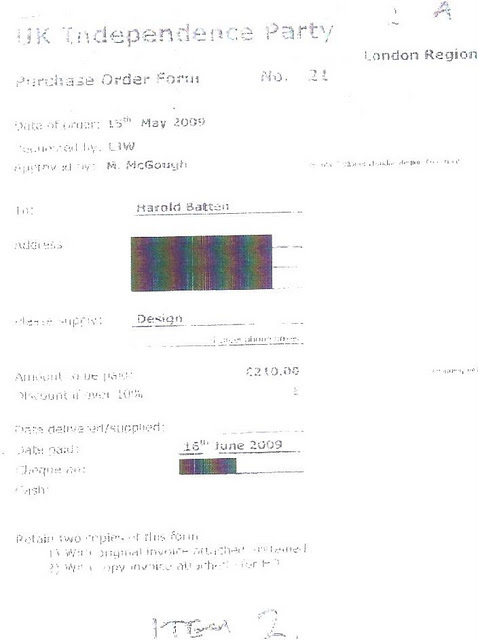 Harold Batten allegedly does extremely profitable work on EU expenses via a company called Roundel. This is also likely to cause some embarrassment to UKIP. Many London UKIPPERS now regard Gerard as a spent force in UKIP. He declined to sign Nikki Sinclaire's EU referendum petition, claiming that it "was a waste of time". You can imagine how he felt when that "waste of time" petition secured a debate in Westminster! When challenged about what exactly he was doing to get Britain out of the EU, he cited his speeches in the EU parliament. It was pointed out to him that hardly anyone takes notice of his speeches and that his influence in the EU parliament was little more than zero. Gerard had no answer to this. Gerard's MEP website can go weeks without a single new article appearing. We note that he has only published one new article on his website since the Westminster referendum debate! What exactly are his researchers doing to justify their salary? Branches in London have closed and many of the remaining ones are lucky if their membership reaches double figures. Many branches haven't seen Batten for months. 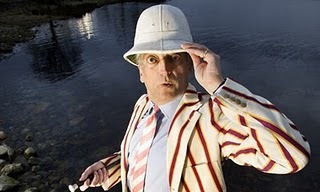 Indeed, one disillusioned UKIPPER has described Batten to a colleague of the Junius Team as "London's invisible man". We also note that Gerard was recently approached by several UKIPPERS and asked to back a call that all future UKIP MEPs should only serve one term. This would, they claimed, prevent UKIP MEPs from going native. 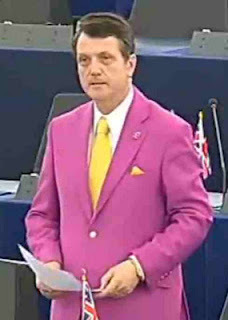 Batten become highly indignant upon hearing this, stating that he had "given up a lot" to become an MEP. He confirmed that he fully intends to stand for a third term. Members left the red faced Batten feeling that his MEP salary meant more to him than leaving the EU. So what exactly has Mr Batten done in all his years as a UKIP MEP? Why didn't he organise a referendum petition on the EU? He had years in which to organise one. Why isn't he following Nikki Sinclaire's example and tirelessly touring his constituency, raising funds and making people aware of the just how the EU is ruining Britain? It seems that Gerard would rather spend his time in Brussels and Strasbourg making endless speeches that no-one listens to. It's time for a change in UKIP London. It's time for Gerard Batten to make way for a better man. We note that Lawrence Webb has been selected as UKIP's London mayoral candidate. He is best known for backing Tom Congdon as UKIP leader. So a positive mark for Mr Webb. However, his supporters readily concede that ' Lawrence has absolutely no chance of winning . 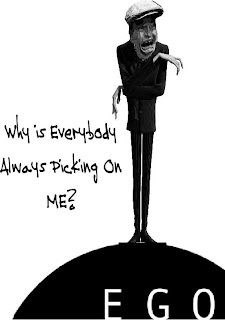 He's standing to raise his profile for the next Euro elections'. Indeed, we have been told that he may even have his eyes on Gerard Batten's seat! More on Gerard tomorrow. Sign the new EU petition! When the French, Dutch and Irish voted No to the EU constitutional and Lisbon Treaties, they were asked to vote again. We must force our MPs to do the same. There are loads of other petitions but they are too similar to the one that was granted a debate so therefore will get rejected by the committee responsible. The EU REFERENDUM CAMPAIGN have started a new petition, it is worded differently so the EU can be re-debated due to a clause in the programme for Government, that the people will be able to table their own bill. Like what happened in other European Counties let’s keep having them vote until we get the ''right'' result!! Our Prime Minister David Cameron talks about the 'big society' however when a large chunk of society is unhappy with the UK being part of the EU he slaps us down. Now more than ever we must keep up the pressure, we mustn’t let this campaign fade away and fail like so many have done in the past. Please make the effort and pass this on. Please sign this petition and then forward it on to your email contacts. If you have Facebook or Twitter please post it on your pages!